For Evann Duplantier, creating an altar in honor of the feast of St. Joseph on March 19 is a "labor of love." But that’s where any "laboring" on her part comes to a halt. Duplantier, a homeschooling mom of six, has honored the patron saint of workers with a virtual St. Joseph Altar on the Web at thankevann.com/stjoseph. The beauty of the online altar, said the member of St. Anselm Parish in Creve Coeur, is that it doesn’t involve the sometimes days-long process of setting up an altar and baking breads, pastries and other food for it. "Your kitchen stays clean, and you don’t have to leave your house," she said. The St. Joseph Altar, sometimes called a table, is a centuries-old tradition that started with Sicilian farmers who prayed to St. Joseph at the time of a severe famine. Their prayers were answered, and the families held an open house by placing food on a St. Joseph Table. Duplantier and her family started the virtual altar 10 years ago, partly as a way to relive her childhood in New Orleans, where the tradition has long held popular with Sicilian immigrants and their descendants. The tradition has caught on with others, too. "I’m not Italian," said Duplantier, "but my grandmother used to go to the altars when I was a little kid. People would open up their houses, and it would be pretty amazing, the things they set up in their dining rooms." More elaborate altars are sometimes set up in churches, restaurants and other public places, too, she said. Duplantier worked years ago she with other families in the St. Louis Catholic Homeschool Association to set up a real-life altar. But the effort turned out to be too much to handle year after year, she said. "You needed help with the food and gathering other things," she said. The tradition is that "everything has to be obtained by begging — not buying everything." When Duplantier, a former art director, and some of her children set up their first virtual altar in 1999, the website included a basic altar, which is traditionally set up in three tiers to represent the Holy Trinity. A statue of St. Joseph is placed on the top tier, usually surrounded by bread, flowers, greenery and fruit. Those who make an offering to the virtual altar can choose from about a dozen items, including bread, fish, pastries, fruit and candles. Offerings can be made up through the March 19 feast day. On the website, visitors can request prayers for deceased loved ones. A separate message board is open all year long for other prayer requests. "This comes from the tradition of praying for deceased people at the altar," said Duplantier. "Pictures of deceased loved ones are usually set up on family altars." 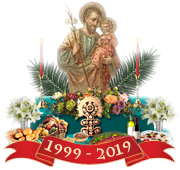 Other features include a section on the history of St. Joseph altars, images of the saint for downloading, St. Joseph-themed coloring pages, recipes and links to other resources. 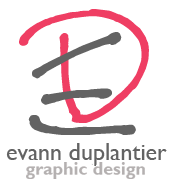 Duplantier also has set up a blog at stjosephaltar.blogspot.com. New this year is a link with instructions on how children can make a three-dimensional St. Joseph altar out of paper. Helping her with the project were two of her daughters, 16-year-old Isabel and 13-year-old Maxine. Duplantier said she receives visitors from all over the world, including Italy, Brazil and New York, to name a few. After Hurricane Katrina in 2005, Duplantier said she also noticed an increase in visitors from New Orleans. As she works on the site around March each year, Duplantier noted that her children are hard at work setting up a real altar in the family dining room, a tradition that the family has had for about a decade and a half. "Sometimes it has been a surprise for me," she said. "It started out very tiny — a little cake and cookies and a statue of St. Joseph. It’s gotten a little bigger every year."